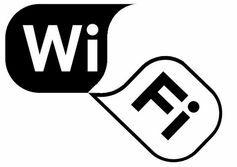 The Washington Post reported on February 4 that the US federal government wanted to create super Wi-Fi networks across the USA. While it appears that statements by the US Federal Communications Commission (FCC) Chairman Julius Genachowski were misinterpreted by The Washington Post, this story has gone viral and will not die. To understand why, we need to look at what has been proposed (albeit accidentally) and what it would mean for consumers both in the US and in Australia, and for the wireless industry (including telecommunication companies). Spectrum is a scarce resource and opportunities to reallocate large amounts of spectrum do not happen often. This is not to say spectrum reallocation is rare - in fact, it happens all the time. When there is an opportunity to reallocate spectrum, proposals are called for by the Australian Communications and Media Authority (ACMA). After the public consultation period ACMA makes recommendations to the government on how the spectrum is to be reallocated. The federal government then makes a final determination on how the spectrum is to be allocated. Around the world - including in Australia - spectrum that was allocated to analogue television is being reallocated now that the digital television rollout is nearly over. The Australian government has called this process the digital dividend. Other spectrum changes are also being made including in the 5 GHz band where spectrum is being reallocated to facilitate the introduction of 802.11ac gigabit Wi-Fi. Before we go further, we need to understand the difference between licensed and unlicensed spectrum. Unlicensed spectrum means that anyone can use the spectrum in accordance with rules for the unlicensed spectrum specified by ACMA. Licensed spectrum means the spectrum is licensed (sold) by the government to an organisation for a commercial use – such as mobile networks. ACMA will generally specify unlicensed and licensed spectrum use rules that comply with standards set by the United Nations International Telecommunications Union. This means that equipment and system vendors can confidently build and sell equipment knowing that it should work in ITU-compliant markets. In the US, the FCC is currently making changes to free up the licensed 600 MHz spectrum and the unlicensed TV white space spectrum (the spectrum between television channels which is also known as guard bands). The FCC also plans to reallocate up to 195 MHz of unlicensed spectrum in the 5 GHz band for 802.11ac gigabit Wi-Fi. The accidental proposal that has become a runaway story is that the FCC could allocate sufficient unlicensed spectrum in a television band to permit super Wi-Fi networks to be developed. For this to occur there would need to be about 90 MHz of unlicensed spectrum allocated in a band somewhere around 700–800 MHz. If the spectrum use rules also permitted high transmission power to be used it would be possible to create Wi-Fi hotspots that could span 30km or more. A block of 90 MHz unlicensed spectrum in the 700 MHz band could be used to connect cars, trains, buses or motor homes to the internet. The unlicensed spectrum that is currently used for Wi-Fi is also used for baby monitors, garage door openers, cordless keyboards and mouses and a thousand other uses. We should expect similar innovation to occur should unlicensed spectrum in the 700 MHz band become available. Unfortunately, the FCC is not actually proposing to do this at all. If the FCC actually did allocate 90 MHz of unlicensed spectrum in the 700-800 MHz bands the effect on the wireless industry would be significant. Gone would be the days of mobile phone companies ripping off customers with over-priced mobile and data plans and extortionate international roaming charges. In my top ten tech predictions for 2013 was the prediction that this would be the year of mobile and Wi-Fi. The Australian government is in the middle of the digital dividend auction which includes 90 MHz of spectrum in the 700 MHz band. Vodafone has already indicated that the government’s price for the spectrum is too high and will not bid for the 700 MHz spectrum. Optus has not committed to a bid for the 700 MHz spectrum. The best solution for Australian consumers is for the government to withdraw the 90 MHz of spectrum in the 700 MHz band from the digital dividend auction and to allocate it as unlicensed spectrum with high power transmission usage. 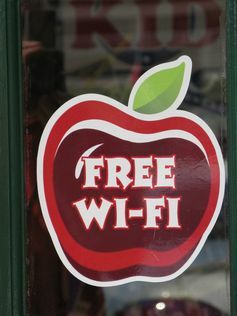 The benefit to Australia would be an explosion of innovative wireless systems including Wi-Fi networks that can stretch up to 30km for a single base station - though not immediately, as a new Wi-Fi standard would be needed. Regional and remote Australia would benefit by being able to setup free Wi-Fi coverage for an entire town using a single base station. The government expects about A$3 billion for the 700 MHz spectrum from the digital dividend auction. The National Broadband Network will cost the nation about A$43 billion initially, so the extra A$3 billion cost to not sell the 700 MHz spectrum is marginal. National productivity would benefit as new wireless systems appear. Is there hope in this story yet?